Two-step login, also known as NetID+ or two-factor authentication, helps protect your account by adding an extra layer of security beyond your password. With two-step login, you will need to provide additional confirmation of your identity to gain access to many online resources at the university. Setting up two-step login with a smartphone (or tablet) takes about five minutes. To set up two-step login, please have both a smartphone (or tablet) and a computer available. Set-up with a smartphone or tablet is strongly recommended. View the two-step login FAQ for additional methods of verifying your identity with two-step login. and then open the application. When prompted, allow notifications. You must allow notifications for two-factor authentication to work properly. Tap Add Account on the screen in the Duo Mobile app. Allow Duo Mobile to access your camera when prompted. This is needed to scan an activation code from your computer. Put down your phone momentarily. Enter your NetID and then click Start your Enrollment. Follow the onscreen instructions, which will lead you through the set-up process. 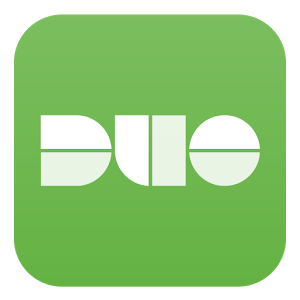 When the QR code appears on your computer screen, use the Duo Mobile app to scan the QR code. To scan the QR code, point your device’s camera at the QR code on your computer screen. IMPORTANT: Continue through the process until you see a button saying Send Me a Push. Click the Send Me a Push button.